HANNES HARKONEN reaches Level 4 BLACKBELT!! CONGRATS! MATT SCHOBER reaches Level 4 BLACKBELT!! CONGRATS! 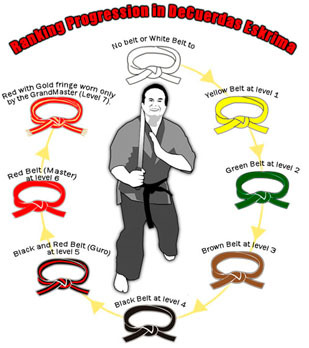 TYLER JONES is now wearing a BROWNBELT after passing his Level 3 test. CONGRATS! Congratulations also go to John Owsiak, Jason Donnelly, Blaine Poe, Gary Christie, Brian Jacinto, Chris Topher, Rope Aalto, Ryan Payne, Alyn Waller and Quentin Dunford for obtaining their Level 1 YellowBelt. We look forward to their progress in the arts. Dynamic DeCuerdas Eskrima by Grandmaster Richard Van Donk. 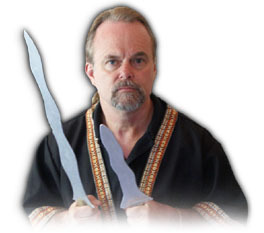 A great Master Eskrimador that passed away while teaching Eskrima at a Hawaii Seminar. He was originally chosen to be the inheritor of the Tenio DeCuerdas system. GrandMaster Tenios son and also an inheriting Grandmaster. Master (GrandMaster of his own combination system LSD Eskrima which stands for Largo Mono, Serrada and DeCuerdas). Master at many arts including certification from Grandmaster Tenio from his early days of training with GM Tenio. But did not train with Teno after I started in 1981.